HP Z440 Workstation For Video (6-Core Intel Xeon, 16GB RAM, 1TB HDD) - Z Systems, Inc.
$4,099.00List Price Shown. Call for your price. JZ's Notes: List Price Shown. Call for your price. Z Systems recommended configuration for video! M2000 graphics, Windows 7 Pro, Avid qualified, 3 year warranty. 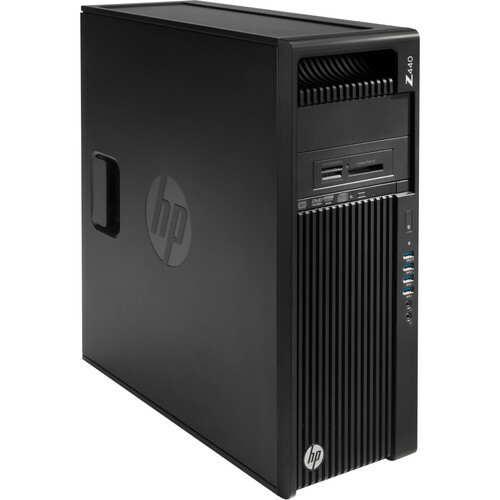 The HP Z440 Workstation delivers performance in a rackable minitower form factor. The Z440 is designed for professionals who require high reliability and is well suited for tasks such as intensive graphics, 3D rendering, multimedia, and gaming, as well as science and engineering applications. This is just one of many possible configurations. We can custom configure an HP system for video to suit your exact workflow and needs. Call us at (952) 974-3140 or email us to learn more. $8,460.00List Price Shown. Call for your price. $7,789.00List Price Shown. Call for your pricing.